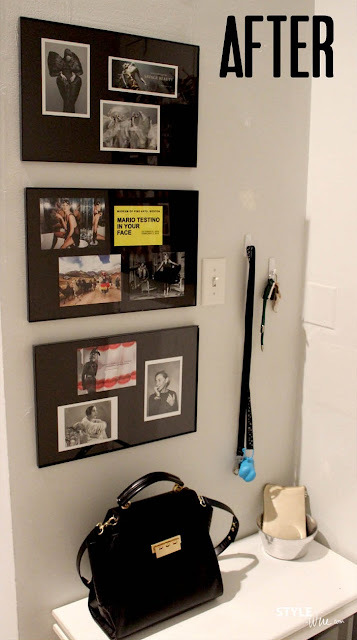 In my teeny, tiny, apartment I am constantly looking for ways to maximize space and stay organized. No easy feat for a girl with a love of shoes and a tiny chihuahua with an affinity for sweaters. My apartment landing strip (idea via Apartment Therapy) is by far my number one trick for minimizing the chaos. Why didn't I think of this before? It only makes sense that you would want to lighten your load as you walk in the door. I can come home and drop off my handbag and the mail and quickly grab the leash and take the dog out. I'm not endlessly searching for my keys or my purse in the morning either. It totally works for me. What didn't work anymore was my lame little homage to my trip to Costa Rica in 2011. I stepped up my game and turned my little landing strip into a more artful entryway. I collected post cards from my favorite fashion art exhibits over the past few years and thought my landing strip would be the perfect place to show them off. I posted this before image on Instagram Friday and now here is the result! What do you think? Definite upgrade, right? 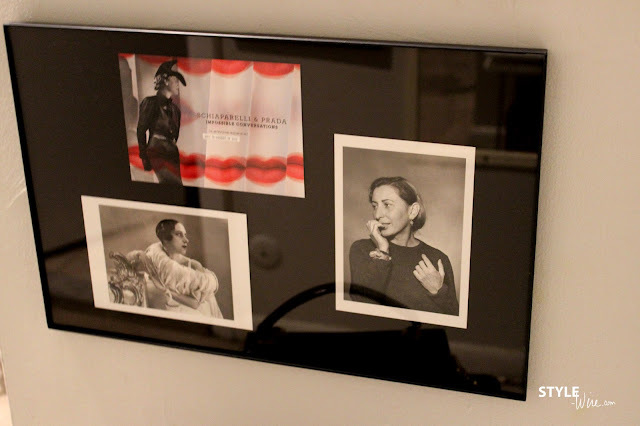 The plastic frames were inexpensive (under $20 for the set of 3) and the black backing was actually from the frame itself. I printed out the exhibit details on matte photo paper ($3 on clearance from Paper Source) and added them to each mini-exhibit. 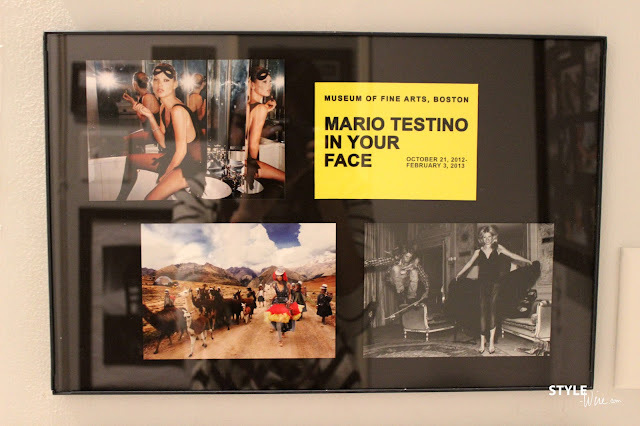 I had postcards from McQueen's Savage Beauty, Prada & Schiaparelli's Impossible Conversations, and most recently, Mario Testino's In Your Face. Who knew $20 could make such a huge difference in the look and feel of my apartment? This is an easy upgrade I wish I had thought of long ago! Which mini-exhibit is your favorite? I love the moody feel of the McQueen frame, but I also love the pop of color in the Testino collection. I'm super happy with the result and I love getting a glimpse at Miuccia before I leave the house! 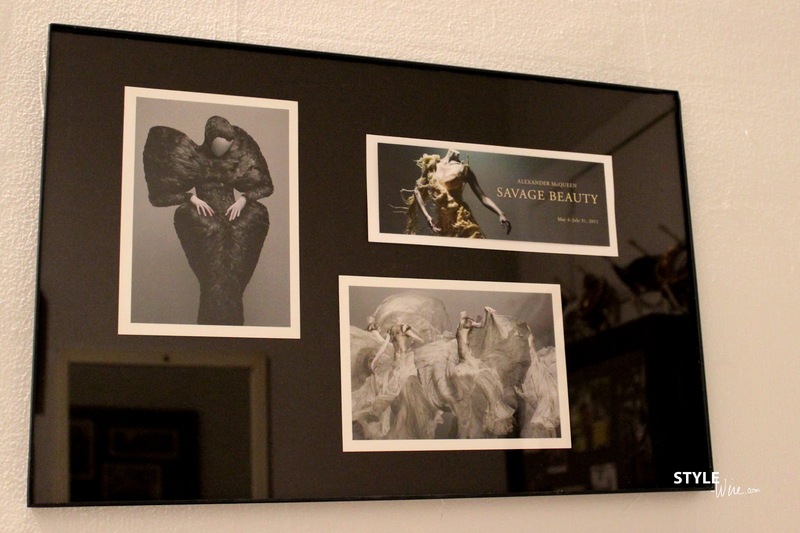 I also love that I can keep adding frames and collecting postcards as I attend new exhibits. I think it's time for another trip to the Met soon!